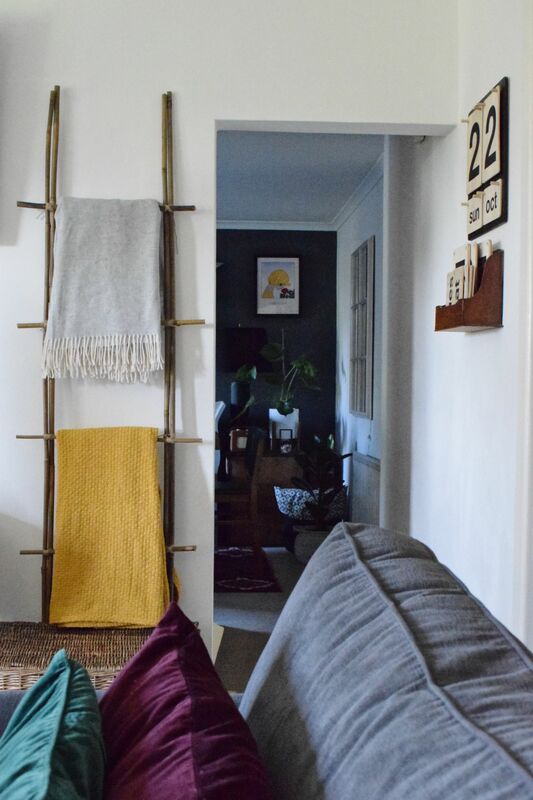 I’ve been searching for a vintage wooden ladder to hang my throws on for absolutely ages but all the ones I have found are either more than i’m willing to spend or further than i’m willing to travel. I was sat at home yesterday and I had a little brain wave, why not make a ladder? I mean how hard could it be? I began to research things I could use and looked on the Homebase website for some inspiration. I found things like wooden stakes and rods of timber that would have done the trick so I got in my car and drove to Homebase to have a proper look. When I got there I had a browse around the wood section and then headed outside to the garden department. That’s when I spotted some tall, thick bamboo canes…bingo! They were about £4 for six 10ft canes, absolute bargain! 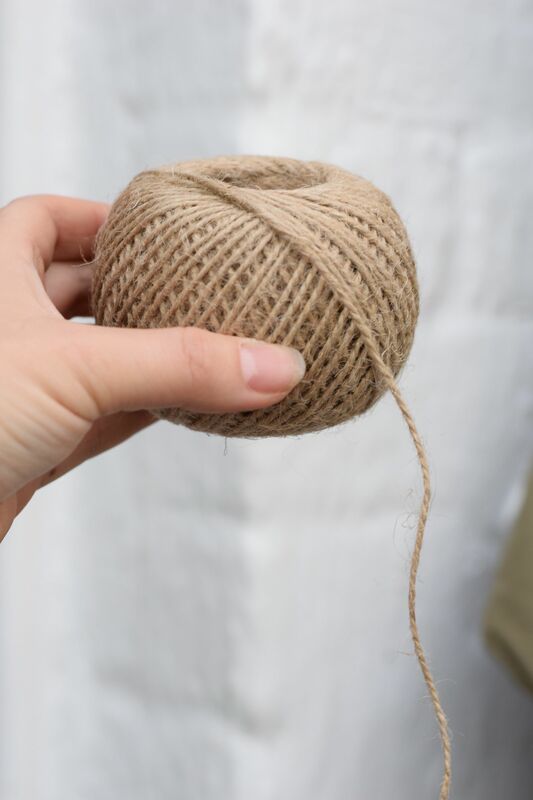 I bought some twine too so that I could attach the rungs which was £1.50. When I got home I worked out how tall I wanted my ladder to be and cut the canes down using a saw. I kept the off cuts to one side to use as the rungs. 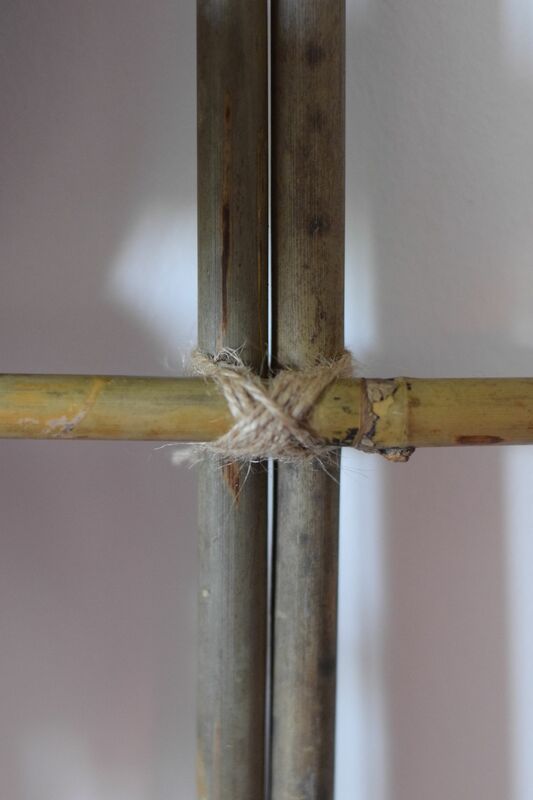 Even though the bamboo I got is pretty thick I decided to use two canes down each side to give it some extra strength. I attached the rungs by wrapping the twine around each join where the canes cross over, then tied a double knot at the back to secure it. Because I only had four off cuts I spaced my rungs out a fair bit but you can add more rungs if you want yours closer together. 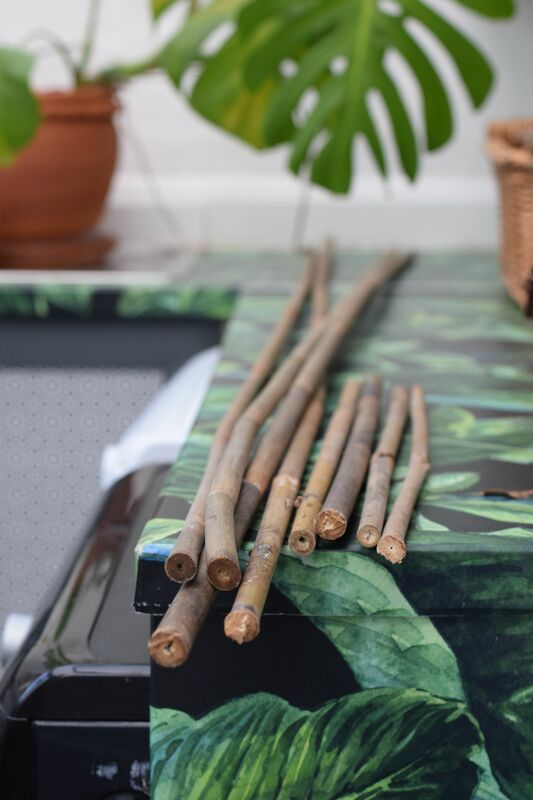 I ended up with two canes left over which I will use for my plants in the future. 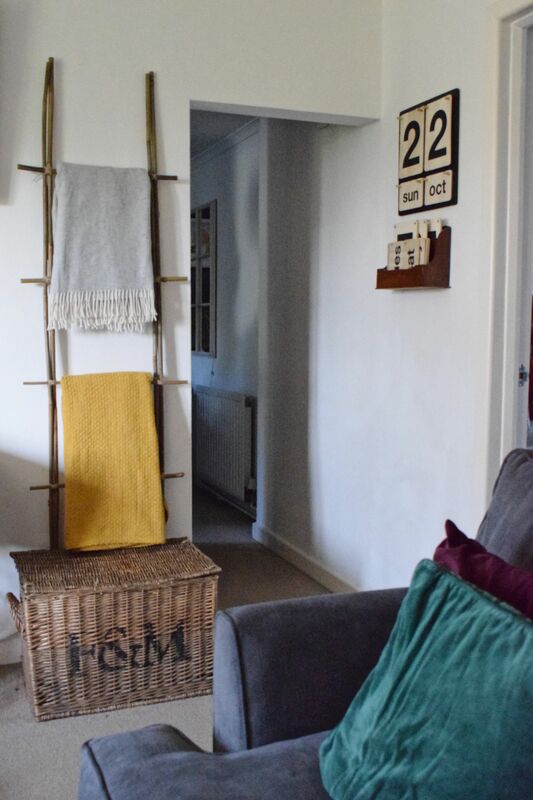 And there you have it, a lovely bamboo ladder for your throws, towels or magazines.